With so many of my favorite TV shows gone I relish a night where I can get caught up on the ones that are still on so tonight I am doing just that and a quick dinner was the way to go…with a container of NC crab meat staring at me I decided on crab and linguine. 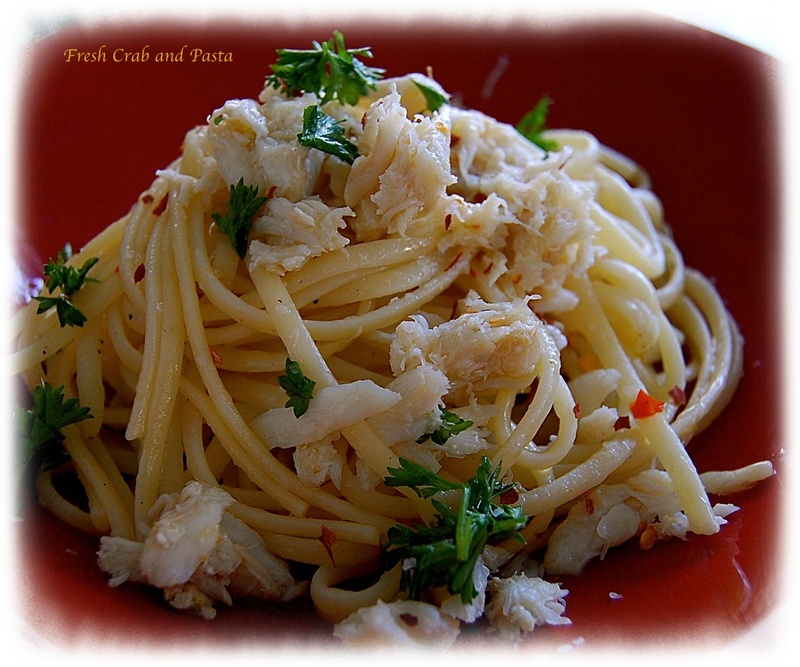 A little fresh crab meat goes a long way in a simple pasta dish and the ingredients for tonight’s dinner for one include 2 ounces linguine, fresh lemon juice and zest, parsley, a small chili pepper seeded and chopped, and a EVOO. Most recipes say to sauté the crabmeat in the prepared oil and chili pepper, but I find that tossing the pasta in the seasoned hot oil and then tossing the crab meat is enough to heat the already cooked crab meat that I have on hand. *Options toss a whole lemon in the pasta cooking water, remove, cool and slice then add the slices to the sauté pan.